At Angea, it is a privilege to connect with so many amazing women every single day. The Women We Love column is a place where we champion women in our community who inspire and raise the bar. 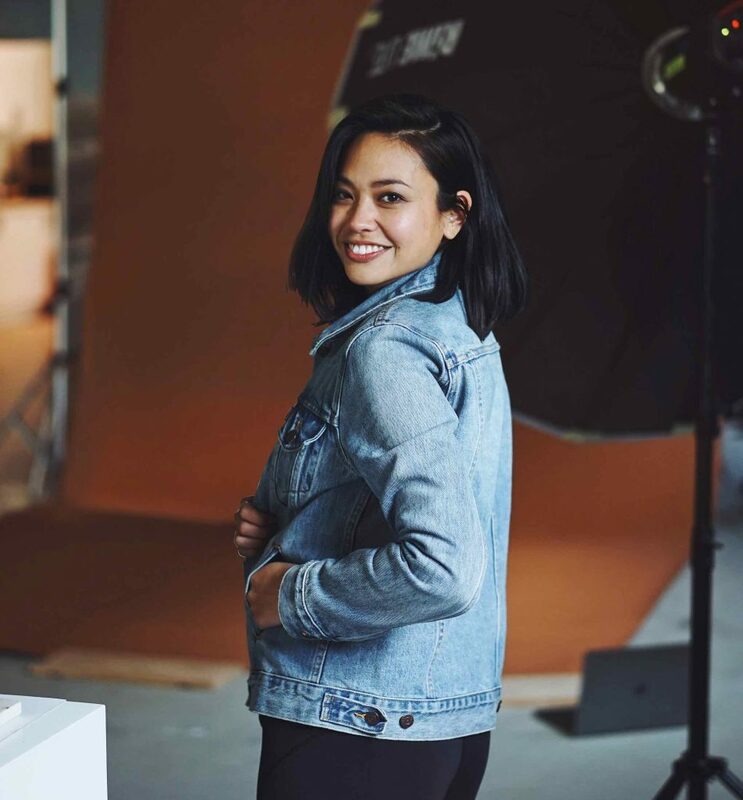 To kick off the series, we sat with Andie Pineda, founder of Vinny, epic yogi, and also a beloved client at Angea. So Andie, talk to us about the beginnings of Vinny! The beginnings of Vinny started when I moved to Melbourne 3 years ago. I had a regular yoga practice but I didn’t know any other yogis here, so I was trialing many different studios looking for ones that resonated with me. With the plethora of Vinyasa style studios in the Northside alone, let’s just say it was an overwhelming and time-consuming process! But with a bit of patience and luck, I eventually found my studio and my favourite teachers. 🙂 It’s hard to break down exactly why you vibe with a certain studio or teacher, but you know it once you find it and I definitely did! It’s a magical feeling, a feeling of being at home. So fast forward a couple of years and the idea for Vinny started to solidify in January 2018. I remember distinctly because it was the night of the Super Blue Blood Moon and I was telling my partner Jimmy over dinner about my current yoga dilemma – that all my favourite yoga teachers were either moving away, on maternity leave, or stopping teaching altogether and that I didn’t know what I was going to do! He personally didn’t really see what the fuss was about because to him yoga was yoga, but it lead to jamming through business ideas nonetheless. There were a few blue sky ideas that involved complex algorithms and predictive technology, but eventually we landed on a simple online directory concept. Because systems like Mindbody and ClassPass didn’t tell much about the teachers themselves, we wanted to create one platform that provided in-depth information on who they are, where they teach, and how they like to teach. How did Vinny transform from an idea riffed at the dinner table to what it is today? From there, I quit my full-time job a couple months later to solely focus on creating Vinny and have been working on it since! I know you used to live and work in the start-up scene in California… is this where the seed was planted to become a Founder? Totally! I spent about 9 years working in the SF tech world as a Recruiter helping startups grow and grow extremely fast. Being part of companies in the beginning stages of their life cycle was really exciting. I got to see all sides of how a business operates and it definitely inspired me to do what I’m doing today. Vinny is really an intersection of tech, creative and yoga, can you tell us how that happened? So after moving to Melbourne and meeting all these creative people, I decided to pursue that path for myself and joined the Brand Creative team at lululemon. After spending 2 years there producing countless photoshoots and campaigns, as well as meeting so many amazing people especially in the yoga community, I decided I wanted to launch a business of my own. And here I am! I tried a few different styles like Bikram and Ashtanga before finding my home with Vinyasa. I loved dropping out of my thinking head and into my body, just moving with my breath in a fluid, dance-like way. That’s still how I like to practice to this day.